After 5 long years at Laurentian University studying to become a teacher, I knew that I couldn’t sit back in Ontario and wait to see what would happen in a very uncertain market for new teachers! So, I called Engage Education and heard about the many ways they would support me in moving to England for teaching employment – it was a no brainer! With the help of my Canadian and British consultants I settled on the North West of London as the location I would start my UK teaching career. Heading over I was extremely nervous to be taking this leap but also really excited to live in a new country and to be doing it on my own! What I realized upon arrival was that I wasn’t alone; many Canadian teachers make the move into international opportunities and Engage helped to connect me with other overseas teachers living and working in the country. It was in my first weeks in England, at Engage Education’s Induction Day, where I would meet a friend and colleague who I would travel with, live with, work with and who would introduce me to my future husband – little did I know! From my arrival in September until that same December I worked as a guaranteed supply teacher. This meant that for the majority of the weeks in the school year, Engage guaranteed me 5 out of 5 days a week work. It’s fair to say that I made my way into A LOT of different classrooms during that time! It was an amazing learning experience for a new teacher and I quickly found my “teacher voice”, learned to teach on the fly, and became more familiar with the National Curriculum and how schools operate in England. Once I grew more comfortable, I knew I was ready for my own classroom and my consultant Craig helped to find me a full-time position that was a perfect fit for me! I was fortunate to secure a job in a small school where they supported my growth as a teacher and encouraged me to set high standards for my students and for myself. From January until the end of the school year I taught French and Religious Education to all the classes across the school – I got to know every single student! The school offered me a Year 6 class for my 2nd year in the UK and it was such a rewarding experience to be a part of a school community and gain such valuable teaching experience. It was bittersweet to leave when my visa ran out and my Headteacher and I discussed sponsorship options at length before I decided that returning to Canada was my next step. Upon returning to Canada – not much had changed in the market and when the opportunity arose to interview to be a member of the Engage Education Canada team, I jumped at the chance to provide other Canadian teachers with the same amazing experience that I had. 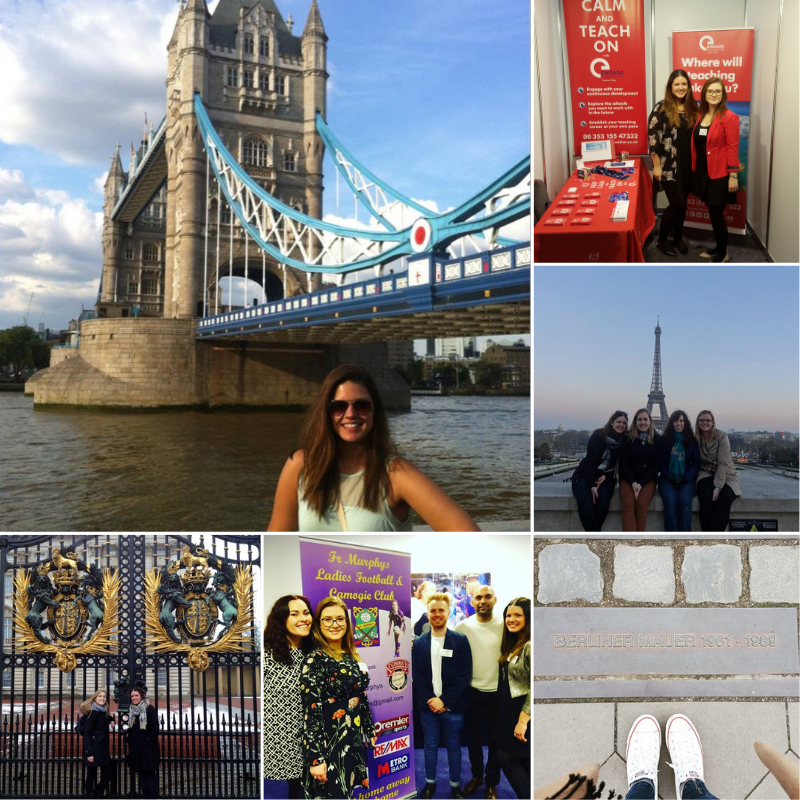 I was lucky enough to spend 2 years teaching in England and travelling the world! I made lifelong friends, grew in leaps and bounds as an educator and became part of the Engage family! Meet Donato, our Community and Wellbeing Executive!